LAKEVIEW — Owners of Milwaukee-based coffee roaster and cafe chain Stone Creek Coffee opened their first Chicago cafe last week at the Belmont “L” stop, a location that was first reported in 2017. This is also the first out-of-state operation for Stone Creek, which runs 12 Wisconsin cafes. Status: Certified open, 939 W. Belmont Avenue. OLD TOWN — BomboBar, best known for its bombolini (fried Italian-style doughnuts), opened a second location this week in the former Buzz Bait Taqueria space. The Old Town menu highlights gelato made in-house, a “Bomboburger” with sharp American cheese, pickles, red onion, and dijonnaise, and pour-your-own tap wine and Moscow mules. Status: Certified open, 1529 N. Wells Street. WEST SIDE — The Claremont Diner, a retro diner with gourmet food and affordable prices, opened at 6 a.m. today. Diners can devour hearty classics like a modern Monte Cristo sandwich or a lump crab salad with roasted beets and caramelized lemon vinaigrette. Status: Certified open, 2325 W. Taylor Street. WICKER PARK — Taco & Burrito Express #3’s relocation is complete and the doors are open, according to a Facebook post. The new spot is on the corner of Ashland Avenue and Lemoyne Street, with seating at wooden tables and counters running along the front windows. 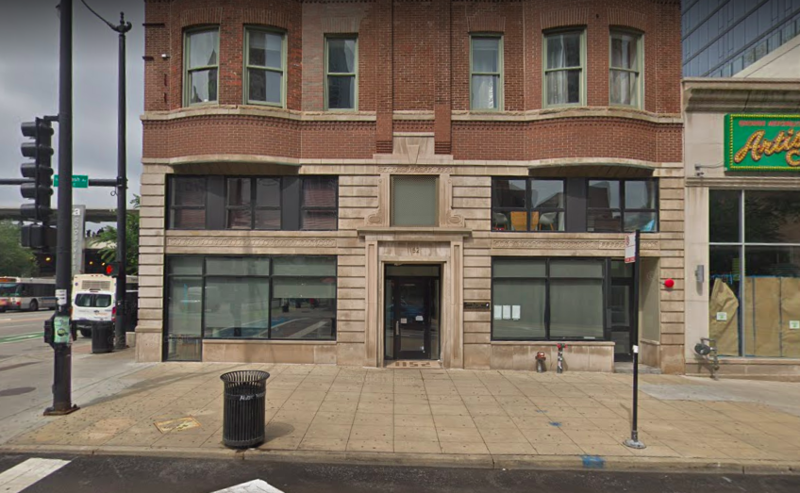 Status: Certified open, 1512 N. Ashland Avenue. GLENVIEW — Mercado Cocina + Cantina, the latest project from chef Yanni Sanchez of Sabor Saveur and Bar Mas, opened to the public yesterday and owners are holding a grand opening this weekend. The restaurant is reservations-only for the time being, but may accept walk-ins in the future. 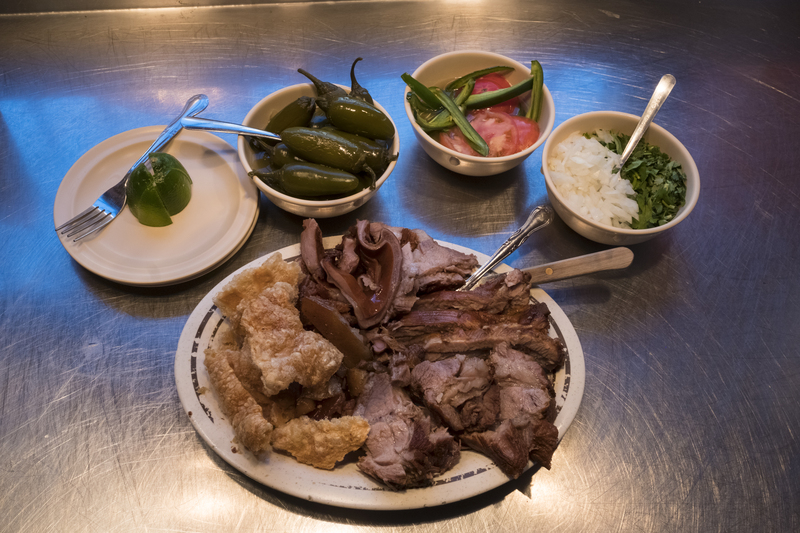 Diners can anticipate modern interpretations of regional Mexican food. Status: Certified open, 2300 Lehigh Avenue, Glenview. MOUNT PROSPECT — Restaurant and lounge Minta, a rebranding of restaurant E+O Food and Drink with an Eastern European spin, opened last week. Management is holding a grand opening at 4 p.m. today. The Daily Herald has the story. Status: Certified open, 125 Randhurst Village Drive, Mount Prospect. WILMETTE — Seafood restaurant and oyster bar Pescadero opened yesterday and management is kicking off with a four-day celebration that runs through Sunday, April 21. Menu items include spicy seafood cioppino with shrimp, scallops, mussels, and roasted tomato sauce, and wood-grilled wild Alaskan king salmon with mushrooms, sweet English peas, and lemon butter. Status: Certified open, 1167 Wilmette Avenue, Wilmette. EDGEWATER — Ella’s Gyros opened last week at the former site of Best Falafel and Ino’s Pizzeria. Run by the son and daughter-in-law of the former owners of Hellas Gyros, which shuttered in 2018, Ella’s serves the same menu as Hellas, including spanakopita, lamb stew, and gyros topped with tomatoes, onions, sport peppers, and tzatziki sauce. Status: Certified open, 5973 N. Clark Street. HUMBOLDT PARK — Harrison’s Cafe & Clubhouse opened this week with a limited menu in the former Cup & Spoon space. Owner Todd Burbo, who created the project through a successful crowdfunding campaign, is a coffee industry veteran who has worked at a number of Chicago roasters, including Dark Matter, Bow Truss, and Intelligentsia. Status: Certified open, 2415 W. North Avenue. RIVER NORTH — Cafe and retailer Foxtrot started serving and selling this week on Wells Street, its second spot in the neighborhood. Beverage offerings include hot and cold espresso drinks, a rotating kombucha tap, and a CBD-infused highball, among other cocktails, wines, and beers. A breakfast and all-day menu features quick bites like a spicy chicken biscuit, breakfast tacos, and a Napa cabbage salad. Foxtrot locations are also in the West Loop, Wicker Park, Lincoln Park, and the Southport corridor. The full menu is available below. Status: Certified open, 401 N. Wells Street. WEST TOWN — District Brew Yards, a barbecue restaurant and brewpub from Burnt City Brewing, opens today at 3 p.m. The pour-your-own beer hall, developed in collaboration with Around the Bend Beer and Bold Dog Beer Co, offers 40 taps. It will serve barbecued meats including brisket, pork belly, pulled pork, and pastrami by the sandwich or half-pound, as well as sides such as elote, mac ‘n cheese, and miso-glazed carrots. Status: Certified open, 417 N. Ashland Avenue. VERNON HILLS — Entrepreneur and venture capitalist Kimbal Musk (yes, Elon’s brother) opened a branch of his healthy chain eatery Next Door American Eatery this week in the Mellody Farm retail development. Musk is starting to make good on his goal of opening 20 Chicagoland Next Door restaurants and more than 2,000 across the country, serving familiar fare like burgers, bowls, salads, and sandwiches. Status: Certified open, 899 N. Milwaukee Avenue, Vernon Hills. EDISON PARK — Que Onda, a new Mexican restaurant and bar, opened this week next door to popular Irish pub the Curragh. Menu standouts include the ensalada de nopales, a cactus-paddle salad with queso fresco and guajillo chili viniagrette, braised goat birria with black beans, onions, and cilantro, and a wide selection of tacos. Drinks like the “mystical bunny” with mezcal, sweet vermouth, carrot, and agave nectar and traditional margaritas join wine, bottled and draft beers on a brief drink list. Status: Certified open, 6701 N. Northwest Highway. JEFFERSON PARK — Owners of El Asadero Colombiano opened its doors this week, according to a Facebook post by Alderman (45th Ward) John Arena. The Colombian menu highlights rotisserie: customers can try chicken or rabbit (whole or half), charbroiled lamb, beef, and pork, and fried fish. Dessert offerings include vanilla flan and brevas con arequipe, or figs with caramel. Status: Certified open, 4800 N. Central Avenue. LINCOLN PARK — French bakery and cafe Maison Marcel opened a second mini-location this week in the space that once housed Berco’s Popcorn. On-the-go diners can expect coffee drinks and patisserie classics such as croissants, pain au chocolate, and éclairs through a sliding window on a wall painted with bright blossoms and leaves. Status: Certified open, 2008 N. Halsted in the alleyway on Armitage. 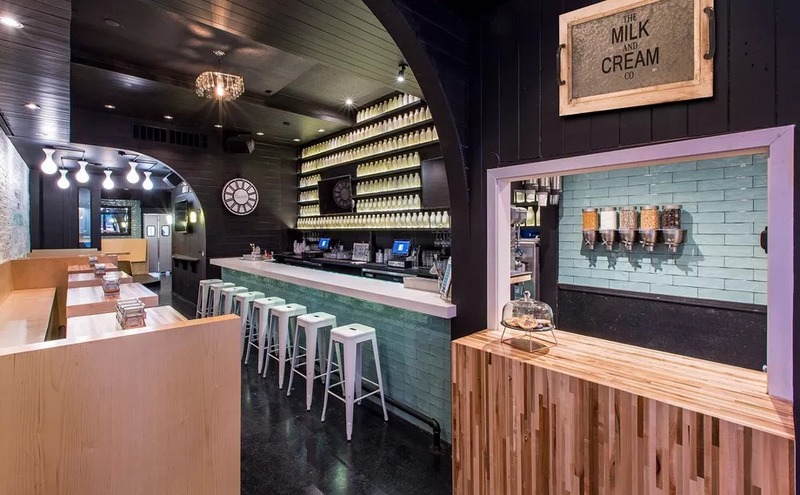 LOGAN SQUARE — Popular throwback tavern Spilt Milk launched a food operation inside the bar this week called the Feller. The menu features elevated pub fare such as chicken nuggets (5 or 9 pieces) with dark meat, honey dijon, and garlic ranch, and a dry-aged beef burger with bacon, white cheese, onion, and something called “fancy sauce.” It also offers a trio of ice cream sandwiches from Mindy Segal of HotChocolate: honey fleur sel, gingersnap, and “chocolate chocolate chocolate.” Status: Certified open, 2758 W. Fullerton Avenue. SOUTH LOOP — Grant Park Bistro opened this week, serving modern, communal-style French cuisine including a selection of terrines as well as grilled fish, meats, and vegetables on the ground floor of the Hotel Essex (formerly the Essex Inn). It’s the latest swanky establishment from the owners of Gold Coast French eatery Bistronomic and Troquet inside the the Hotel Felix in River North. Status: Certified open, 800 S. Michigan Avenue. WRIGLEYVILLE — Bar and restaurant chain Beerhead Bar & Eatery opens today in the Addison & Clark development complex near Wrigley Field. This is the first branch in Chicago proper and will serve more than 400 different beer options on stadium-themed bar and table tops with repurposed wood from bleachers. Beerhead will serve lunch and dinner menus, which include pizzas, salads, and a mammoth “Barbarian” pretzel. Status: Certified open, 3519 N. Clark Street, Suite C-104. WRIGLEYVILLE — Owners of Output Wrigleyville, the second location for West Town sports bar Output, opened its doors in late March but are holding a “grand opening” celebration this weekend in the former WHISK Wrigleyville space, opened in March 2018. The original location serves some of the best chicken wings in Chicago, with creative sauces including lemon pepper and mango ghost pepper. Status: Certified open, 3720 N. Clark Street. AVONDALE — Tasty Chinese opened in late March in the long-vacant home of the original Urbanbelly. The menu is stacked with Chinese-American favorites, including lemon chicken and mapo tofu. Status: Certified open, 3051 N California Avenue. FULTON MARKET — Chicago-based coffee chain Fairgrounds Coffee & Tea opened a new location this week. The shop offers coffees from multiple roasters, including Dark Matter Coffee and Gaslight Coffee Roasters, cocktails, food, and skee-ball. Owner Michael Schultz has a flurry of other projects in the works, so stay tuned. Status: Certified open, 1330 W. Fulton Market. RIVER NORTH — Cafe Tola will begin serving its popular empanadas Monday inside the Ohio House Motel. Beverage offerings include coconut iced coffee and a spicy mocha. The cafe also operates in Avondale, Lakeview, and Logan Square. Status: Opening Monday, 600 N. LaSalle Street. 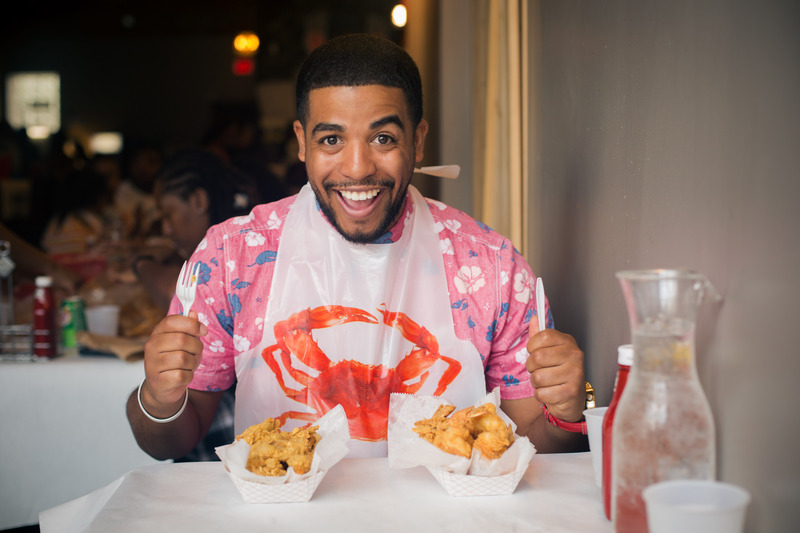 WEST LOOP — Brown Bag Seafood Company opened its fifth location this week, bringing its healthy, fast-casual seafood menu to a downtown skyscraper. New items include a “Veggie Detox Crunch” taco and a seared yellowfin tuna. It’s not all health food: Brown Bag is also serving cocoa Krispie brownie bites, created in collaboration pastry chef Mindy Segal of Hot Chocolate in Bucktown. Status: Certified open, 150 N. Riverside Plaza. BERWYN — Legend Tasty House is ready for summer with a new location serving Thai rolled ice cream packed into cups and topped with colorful, tooth-rotting goodies. The menu includes green tea strawberry with marshmallow, green tea Pocky, and whipped cream, and double Oreo with Nutella, accompanied by banana and Fruit Loops. Status: Certified open, 7170 W. Cermak Road. O’HARE — Garrett Popcorn opened its third O’Hare location today in Terminal 5, offering buttery and plain popcorn, as well as Caramel Crisp, cheese corn, and a cheese-and-caramel combination called the Garrett Mix. Officials broke ground at the terminal this month, kicking off a $1.2 billion expansion that will bring 10 new gates. Status: Certified open, O’Hare Airport, Terminal 5. SCHAUMBURG — Little Village-area coffee house Sip 22 expands its suburban footprint with Sip 22 Coffee Lounge and Creperie in the Woodfield Mall. Customers can expect coffee and espresso drinks made with Dark Matter Coffee, as well as gelato, and both sweet and savory crepes with ingredients like strawberry, Nutella, and a selection of meats and cheeses. Status: Certified open, 5 Woodfield Mall. GRAND BOULEVARD — Shawn Michelle’s Handmade Ice Cream is open Saturdays only, but it’ll have full hours starting with its grand opening on March 30. Flavors include banana pudding, Jamaican rum raisin, and “Melanin Magic.” Status: Certified open, 46 E. 47th Street. HARWOOD HEIGHTS — Barrel House Kitchen & Tap opened in early March. 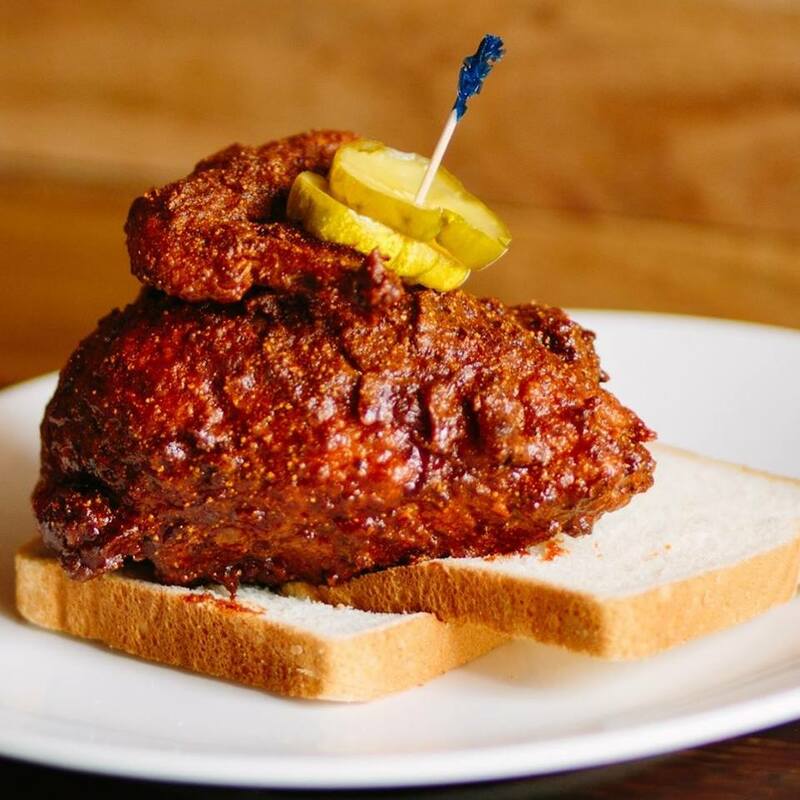 Diners can expect a range of draft beers and hearty sandwiches, including cheese steaks, Southern shrimp po boys, and deep fried ham and cheese. Status: Certified open, 5100 N. Harlem Avenue. LINCOLN PARK— Turkitch, a brand of Turkish food products, has opened Turkitch Kitchen, a place were it sells the company’s products like baklava and coffee as well as pastries and sandwiches. Status: Certified open, 565 W. Diversey Parkway. LOGAN SQUARE — Chicago icon and essential ice cream shop the Freeze, formerly Tastee Freez, opened for the season on Thursday. Block Club Chicago has the details on new flavors patrons can try in the coming weeks. Status: Certified open, 2815 W. Armitage Avenue. NOBLE SQUARE — Hom Mali Thai and Sushi has added a sister location to the Old Town original. The long menu offers both Thai and Japanese options, including Panang curry, tom yum koong, and bento sets. Manee Thai and Thai Castle previously occupied the space. Status: Certified open, 1546 W Chicago Avenue. PILSEN — The building once occupied by Gino’s East Pilsen now houses a pizzeria once again. This was the Gino’s that served Mexican-inspired pizza. Bob’s Pizza serves Pilsen-style pies with a crispy, buttery crust. It’s also BYOB. Status: Certified open, 1659 W 21st Street. RAVENSWOOD — Bliss Resto moved into the former Ranalli’s Up North and Mexican restaurant El Maya space in mid-February. The extensive menu features Japanese dishes like spicy miso ramen and volcano shrimp maki, as well as Thai selections, including pad see ew and basil fried rice. It also serves burgers. Status: Certified open, 1522 W. Montrose Avenue. 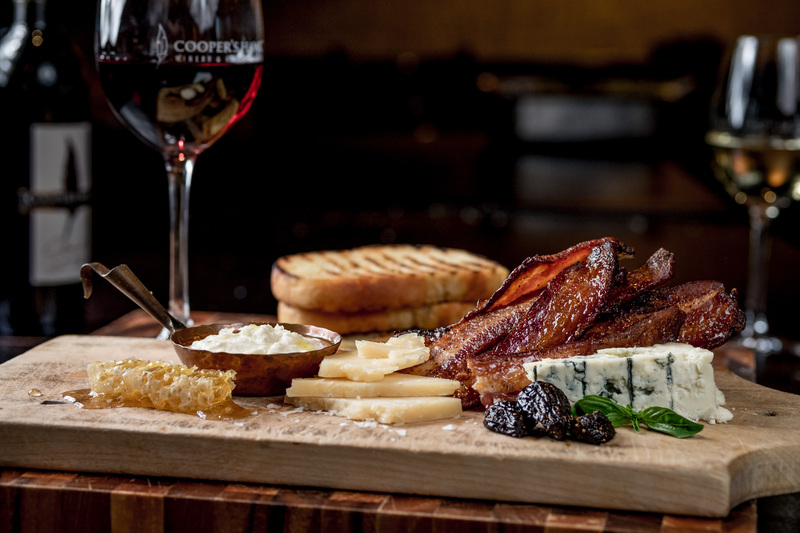 ROSCOE VILLAGE— Turquoise Cafe, one of Chicago’s most respect Turkish restaurants, has added a new wrinkle: a wine bar. Ownership remodeled the facade and space and created Bordeaux Lounge. Status: Certified open, 2147 W. Roscoe Street. WOODLAWN— Chicago’s oldest restaurant, Daley’s Restaurant, moved into its new location. The restaurant, which services a combo of diner and soul food favorites, is 127 years old. The old location was in dire need of construction work, and Preservation of Affordable Housing offered the owners a space inside a new development across the street. Status: Certified open, 6253 S. Cottage Grove Avenue. OAKBROOK TERRACE— Stan’s Donuts & Coffee has opened another location. The chain’s doing its regular giveaways on Saturday morning to celebrate the opening. Status: Opening 6:30 a.m. on Saturday, 17W615 Butterfield Road, Unit A, Oakbrook Terrace. For a list of the 2019 winter openings, click here.